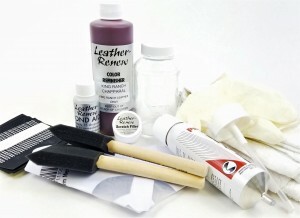 This kit contains everything you need to restore the original color of your King Ranch leather. Make repairs to scratches, worn finishes, cigarette burns, cracked finishes etc. Eight ounces of dye covers up to 48 square feet of surface with 3 coats. Specifically formulated for use on King Ranch leather.